Regular checking and servicing of your car or van will result in better fuel economy. It will help to reduce overall repair costs and lower the risk of breakdowns. 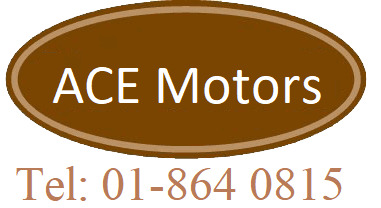 At Ace Morors we are here to make things as simple and convenient for you as we possibly can. Provide you with the best car service at the best price. With simple, straightforward servicing and car repair options, Ace Motors your one-stop shop in Dublin for servicing, repairs and NCT checks. Our Mechanical Repair Service Dublin includes Breakes, Suspension, Steering, Tires, Exhaust, Engine repairs, Safety Inspections, Headlight Alignment, Emmission repairs, Clutch Repairs, Bearingd and Tune-ups.